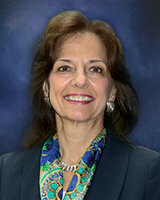 Nancy Young serves as the Georgia United Methodist Foundation's Director of Planned Giving and Scholarships. In this article, she answers frequently asked questions about GUMF's Legacy Ministry Training. For more information, please contact Nancy at 678-708-6601 or nyoung@gumf.org. 1. What if I can’t attend all of the sessions? Each of the sessions will be recorded and all participants will have an opportunity to review the recording after the seminar. 2. What if I only want to participate in the sessions that deal with marketing? May I still participate? Yes. You may participate in the last seven sessions; however we would recommend a review of your endowment documents.The fee for the seminars still applies. 3. Do you provide sample documents for us to use? Our commitment to you is to provide turnkey documents for your program. To view the documents included in the training program, please visit our website at www.gumf.org and look under the planned giving tab for the link for the Legacy Ministry Training. 4. Do you provide legal counsel? We do not provide legal counsel, however our materials have been reviewed by a planned giving attorney. We recommend that you have an attorney look at your final documents. 5. Our church already has an account with the Georgia United Methodist Foundation. Do we still have to pay the fee? Yes. 6. What if I choose to have my endowment managed by an entity other than the Georgia United Methodist Foundation? What happens to my fee? GUMF will retain the fee for the webinar and self-directed training. 7. Is there a specific period that the endowment account must remain open? Yes. If your endowment account is open less than 2 years, the fee for the training will be retained by GUMF. 8. What are the advantages of having your endowment account managed by the Georgia United Methodist Foundation? Some of the advantages are: shared mission and values, socially responsible investing, diversified options for investing, low rates, trusted and qualified experts. As a nonprofit, any surplus that we have is used to provide scholarships for Methodist students and grants to Methodist churches. Choosing GUMF also eliminates competition between church members to manage the account. 9. How many endowment accounts do you manage? The Georgia United Methodist Foundation is the trustee or custodian of 132 endowments worth over $30,000,000. 10. What is your fee for managing and investing money with you? Our fees are 50 basis points or ½ of 1% on the account value. There are no fees on Development Fund certificates. 11. What planned giving services do you provide for our members? The Georgia United Methodist Foundation offers a variety of planned giving options that your members may choose. Instead of having to send your member to another institution and juggle multiple reports from a variety of investment firms, you can do all of this through GUMF. This includes charitable gift annuities, unitrusts, donor advised funds, retained life estate, living trusts, charitable lead trusts, and charitable remainder annuity trusts. In addition, GUMF staff will meet individually with your member free-of-charge to help them determine which planned giving option would be best for their situation. 12. How do we enroll in the Legacy Ministry Training? Please contact Nancy Young at 678-708-6601 or nyoung@gumf.org and let her know that you would like to obtain more information or enroll. This gives us an opportunity for us to arrange a time to meet with you at your church prior to the first session. Please submit your training fee to the Georgia United Methodist Foundation prior to the first session. The consultant-directed training will be paid monthly.